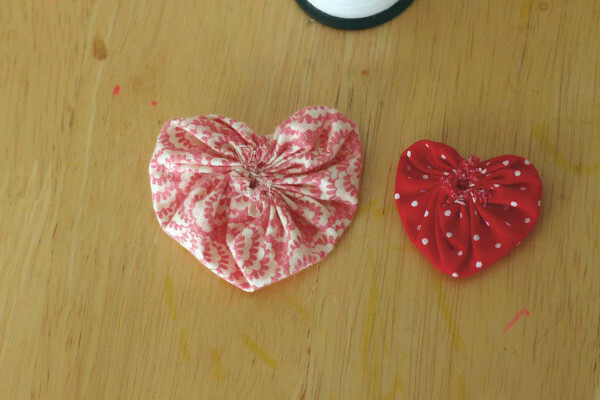 To begin, fold your fabric in half, and on the fold, cut half of a heart. Make your heart about twice as large as you want your final yo-yo to be. 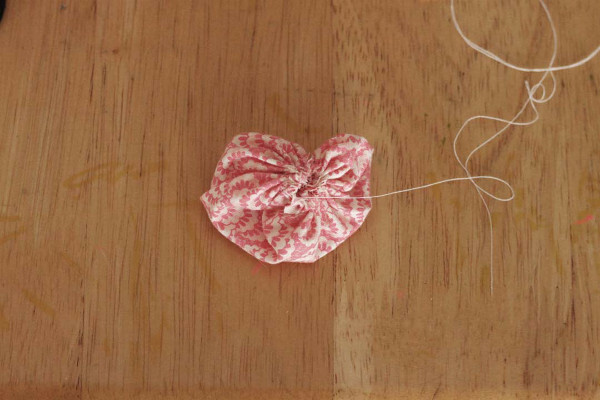 With your needle and thread, sew a running stitch along the edge of fabric heart, about 1/8-inch away from the edge. 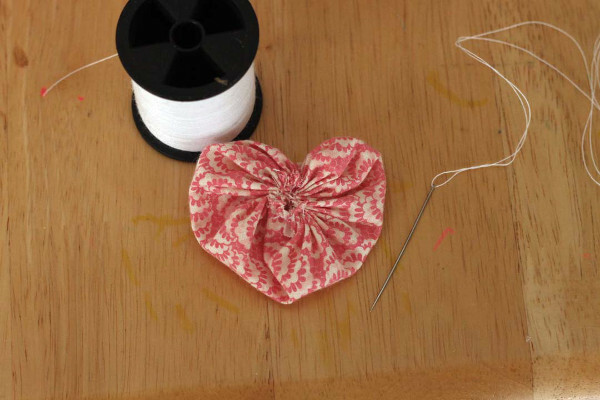 Be sure to begin and end your stitching at the pointed end of the heart for the best final shape. Gently pull your thread to gather the fabric. 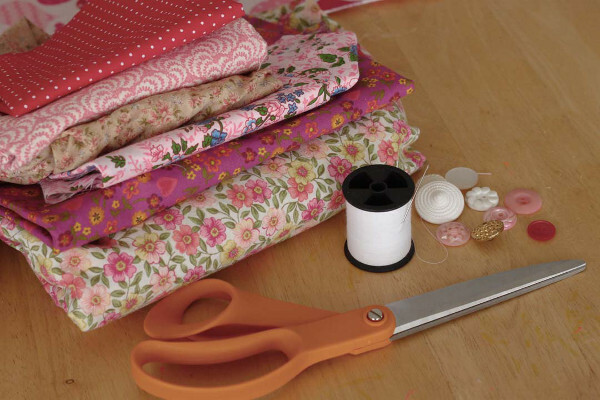 Continue pulling the thread, and gathering the fabric until you’re left with a little hole. Position the hole up near the top of the heart, in the middle of the top bumps. Tie off your thread, and cut it. 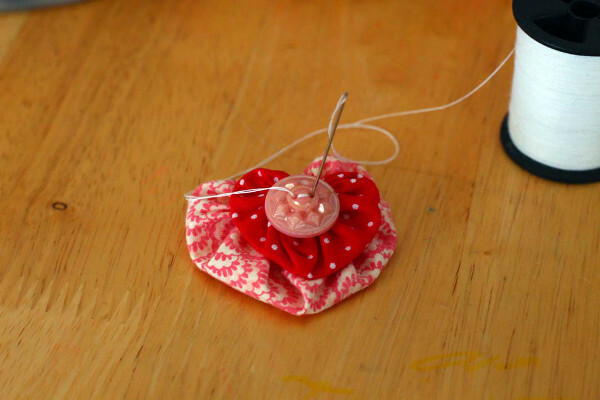 Gently use your fingers, to pull the bottom of the heart into a point, and flatten and shape the rest of the heart. 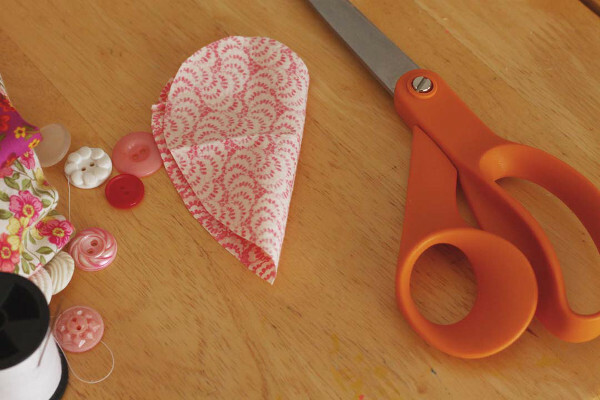 The initial shape of your fabric heart will obviously be similar to the shape of your final yo-yo; so if you need a bunch of hearts that are consistent in size and shape, I suggest making a paper pattern to use, so all of your hearts are the same. 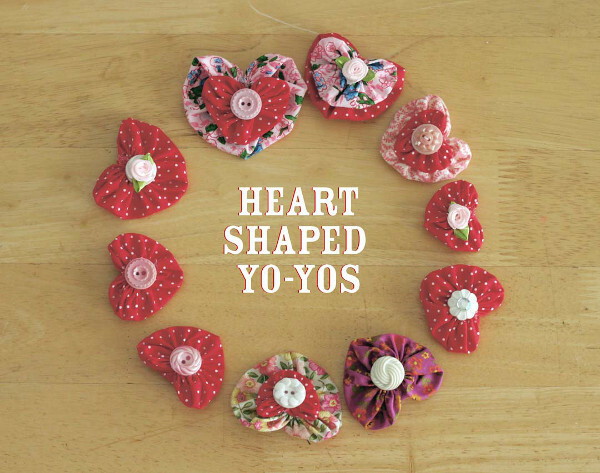 For the project I used my hearts for, I tried making different sizes of yo-yo hearts, and stacked them together. 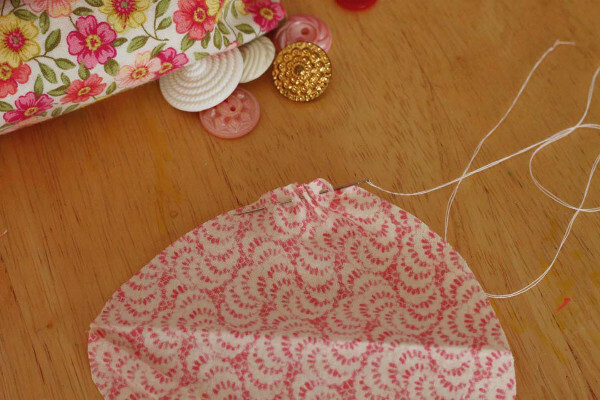 To embellish them further, try sewing a button over the hole. 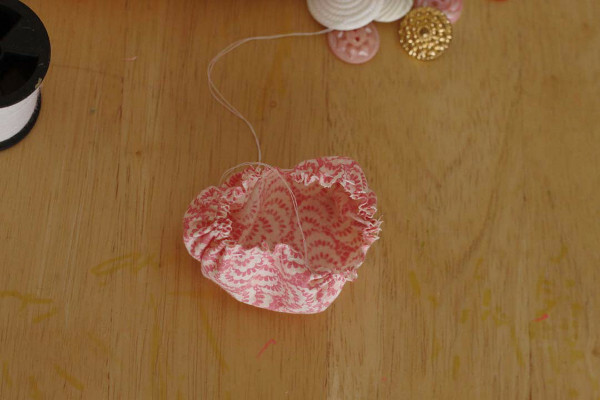 Use these cuties to decorate clothes, throw pillows, quilts, in scrabooking, on canvases, and other craft projects. 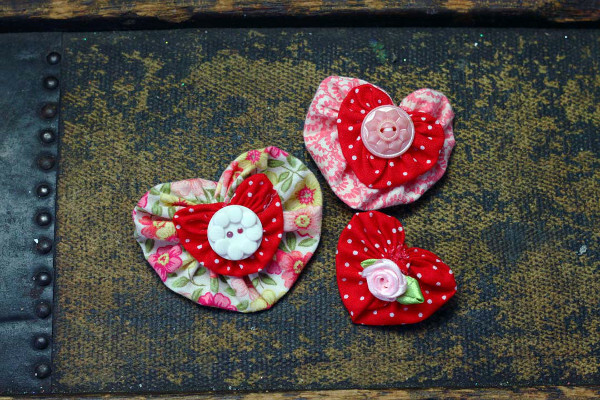 How else could you use these sweet little hearts in your crafting?